Be bold and submit your short stories and poems to Scotland’s only free creative writing competition for women. Our theme this year is Body Positive. As ever, we are looking for diverse interpretations of this idea, so give your creative muse free rein and email your short stories and poems of up to 1,000 words to info@womenslibrary.org.uk in a Word Document or typed in the body of the e-mail with ‘Bold Types Competition Entry’ in the subject line. You can enter once in each category and it’s completely free to enter. The closing date for entries is Friday 10th November. Shortlisted writers will read their stories on 30th November in our Bold Types Creative Writing Showcase event. Our wonderfully supportive and encouraging panel of judges at the event include: acclaimed short story writer and novelist Anne Donovan; writer and intersectional feminist Sim Bajwa; Zoe Strachan, award-winning writer and tutor on the postgraduate creative writing programme at the University of Glasgow; and GWL’s own librarian, Wendy Kirk. Winners will be announced on the night and prizes include a one to one mentoring session with one of our judges and a selection of covetable books. You can read the work of our 2016 winners here. Do you want to get involved but need a bit of help? Have no fear because our Bold Types workshops are here to help you be bold! We have two Creative Writing For Fearties sessions on Thursday 7th September and Thursday 5th October, the ideal place to fire up your literary mojo, discover your poetic powers and story strengths with some thought-provoking writing exercises. If your work is almost there, perhaps our Editing Mistress-Class is for you? This session will support you to polish your writing gem until it sparkles. Closing date: Friday 10th November at 5pm. Submitting your work: email your short stories and poems of up to 1,000 words to info@womenslibrary.org.uk in a Word Document or typed in the body of the e-mail with ‘Bold Types Competition Entry’ in the subject line. Writers retain full copyright of their work. 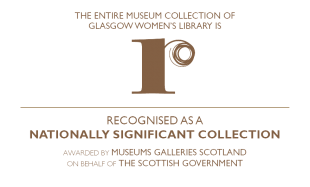 Supported by Book Week Scotland. This entry was posted in Blog, News and tagged with Bold Types, Book Week Scotland, creative writing. Is there somewhere we can read the shortlisted pieces from previous years? Hi Stella. We’re checking permissions with the authors and should hopefully be able to publish these online this week. Have they been published somewhere on this site? I’d like to read them. Is this open to women of Scottish heritage living abroad? Yes, anyone who identifies as being Scottish is welcome to submit. I was born French, moved to Scotland, married a Scottish man and took British citizenship. Do I qualify? Yes, any woman who identifies as being Scottish is welcome to submit and it’s at each entrants discretion. Good luck! This sounds great! Will share online and maybe muster the words to enter too! I would like to know if you accept submissions (in English, of course) from foreigners living outside UK? Thank you! We have the loose criteria that if you identify as being Scottish, whether you live here or live abroad, then you can enter. So this is at your own discretion and if you wish to enter, please do. Do you require a cover letter on top of the submission? No, just a short email with either a word doc attached or the text in the body of the email. is story a must ?? cant we just write like a book on different topics? All entries must be fiction but you are welcome to make a story from a topic you are interested in. Does this answer your question? How many poems are you allowed to submit? You can only submit one poem but because you’re allowed to enter once in each category then you can also enter a story as well if you wish. Really interested in this competition but I want to know if the writer retains full copyright of their work with exception of giving GWL unrestricted rights to publish and include the work in their own material? Is there a T&C page for the competition? Writers do retain full copyright and we’ll promote their work online if we can but currently have no plans to publish them anywhere else due to budgets. I’ll update this in the post. I hope this helps! The theme this year is Body Positive and there is no line limit, just a word limit of 1,000 words. Hi. I moved from Europe to Scotland when I was three and have lived here ever since. Am I qualified to enter, or do you have to be Scottish- born? Yes, you are definitely eligible to submit! Whether you’re born in Scotland or just live or work here, we’d love as many people as possible to submit. Was wondering if there is an age limit? Is this competition open only to those 18+? Thanks so much for your question. We’d love young women to enter the competition so there’s no age limit. Hope this helps. just checking – should we have our name and contact details on a Word doc entry or leave these details only in the body of the accompanying email? Hi Clare – just put your contact details in the email, thank you! I have submitted a poem into the competition. If I am successful in being shortlisted- roughly when will I be notified? Hello – we’re in the process of contacting the shortlisted writers (& other applicants) this week. Also I did not enter my personal details as I thought my e mail would be a sufficient form of contact? Is this a problem? :-/ Hopefully not! Dear GWL, your email seems to be rejecting mine, so I will post my question here: could you tell us when will be the finalists are set to be announced? I was just wondering when you’re decision will be made or if had already been made on which short stories will be short listed? P,s also I did not submit my details except name as I thought an e mail would be a sufficient form of contact. Is this a problem? :-/ hopefully not! !